For over a decade, Ajay Tejwani has established himself as one of the leading experts on social media strategy. His work with Fortune 500 companies has solidified his expertise in everything from marketing analysis to business development. He has spoken at various US and international conferences on variety of topics related to digital marketing and social media. Ajay’s effectiveness at integrating social media marketing into business and advertising models has made him a sought-after source on the topic. Amid a schedule of speaking engagements across the world, Tejwani also founded Digital Marketing Sapiens , a social media marketing and SEO consulting firm. Tejwani’s latest project includes authoring The Social Media Action Plan, a book explaining how the modern business requires a modern managing approach utilizing social media marketing and mobile platform development. 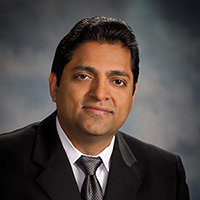 Tejwani holds a Masters in Business Administration from the University of Texas at San Antonio, and a Bachelors of Science in Electronics. He currently lives in San Antonio, Texas with his wife and two daughters.